Wanderlust provides discerning travelers with acclaimed personal service and exceptional travel experiences. We continually strive to exceed clients’ expectations. As top producers for Royal Caribbean, Celebrity, Holland America Line, Regent Seven Seas, Crystal Cruises, Cunard Line Seabourn, Silversea, Carnival and other luxury cruise lines our agents have access to exclusive rates and amenities available only when you book with us. Wanderlust organizes and plans memorable short and long term world cruises, family reunion cruises, and affinity group cruises, honeymoons and unique personal travel experiences. 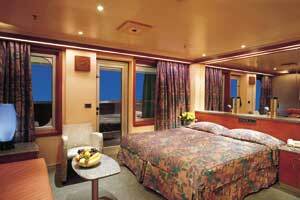 In addition to your cruise arrangements, we can handle every detail before and after your cruise. Let us help you plan your next dream vacation whether you travel to an exotic destination aboard a cruise ship or wish to experience a unique land tour or a family safari in Africa. Welcome to the world of cruise travel with Wanderlust. The staff of Wanderlust are comprised of very experienced and caring professionals who work hard to make sure Wanderlust clients are provided with personal service. Please give us a call at 780.708.4040 or email us at [email protected] for more information about cruising.. We look forward to being of service to you.